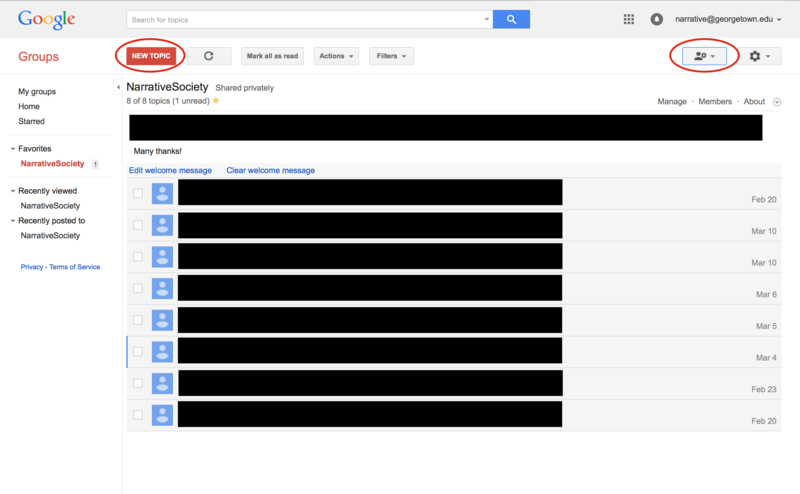 The Narrative Society maintains an active email list through Google Groups. 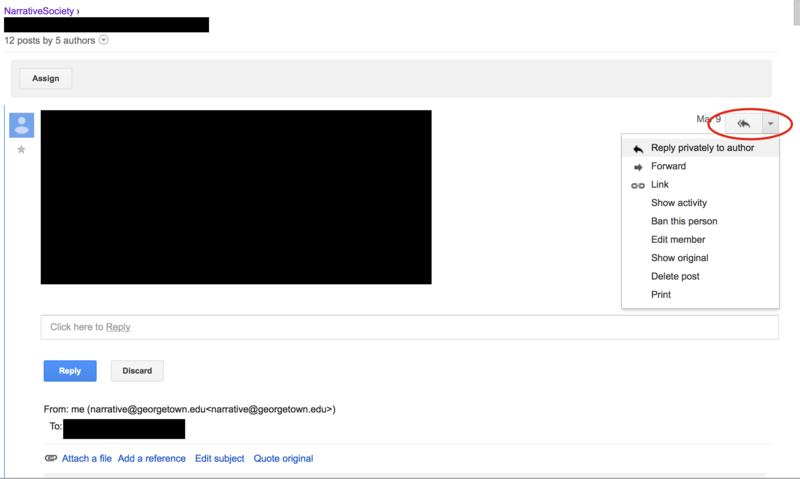 Members who wish to subscribe with an email account managed through Google are encouraged to use Google's web view to interact with the list. Members who wish to subscribe with a non-Google account will interact with the list via email. To reply to the entire list on a topic, hit "reply all" from the email. To reply to only the author of one post on a topic, hit "reply" from the email sent by that member. Home page showing list of topics (middle), new topic creation (upper-left), and settings (upper-right). Click to view. Topic view showing individual posts and reply options (upper-right). Click to view. * In order to keep spam to a minimum, only subscribed members may post messages to the list.